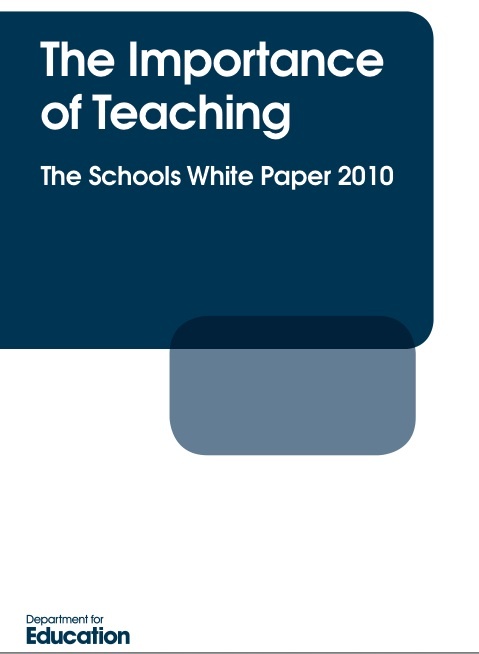 Three people have now asked me how to get to see the new White Paper on education 'The Importance of Teaching' launched by Secretary of State for Education; Michael Gove yesterday. Click either on the title or here to get it. This is going to significantly change education, more will be posted soon about it soon no doubt - but I do need to read the detail first. Lots of people are going to comment on this White Paper in a massive number of forums.. it is going to change things (again).... is it for the better? We all want a better education system, we all want all students to succeed, no doubt about that, but of the headlines I have heard, some at least are giving me what I could call.. some concern!